THE ATLANTA OPERA’S 2017-18 season, announced this morning, will feature works by Bizet, Donizetti, Wagner, Kurt Weill, Jake Heggie and American musical theater icon Stephen Sondheim. 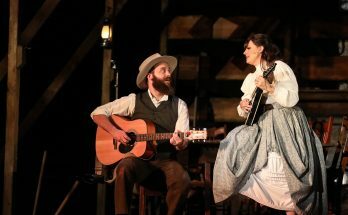 Four operas will be performed on the mainstage at the Cobb Energy Performing Arts Centre; two operas (the Discoveries series) will be performed at sites to be announced later. The new season will showcase what the Atlanta Opera does best and what it considers its priorities, says general & artistic director Tomer Zvulun, who is heading into his sixth year with the company. Atlanta Opera’s mission is to create high-quality programming that reimagines classics and introduces new work, work that expands and engages its audience and stimulates important conversations. Details on subscriptions and single-opera tickets will be announced later. These four operas will be performed at the Cobb Energy Centre for the Performing Arts, 2800 Cobb Galleria Parkway, Atlanta. THE FLYING DUTCHMAN | Nov. 4, 7, 10 & 12. Richard Wagner’s opera is based on nautical folklore that recounts the love affair between a fair maiden and the cursed captain of a phantom ship. Zvulun, who made his Atlanta Opera debut directing Flying Dutchman in 2009, will again direct. Music director Arthur Fagen will conduct. 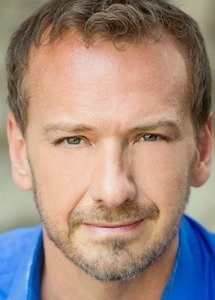 Bass-baritone Wayne Tigges will sing the title role. Soprano Melody Moore will sing Senta. Tenor Jay Hunter Morris will sing Erik, a role he recently performed with the Metropolitan and Washington National operas. THE DAUGHTER OF THE REGIMENT | Feb. 24, 27 & March 2, 4, 2018. Gaetano Donizetti’s comedy, known for its vocal acrobatics and famous tenor aria, blends a patriotic spirit with a touch of innocent romance. 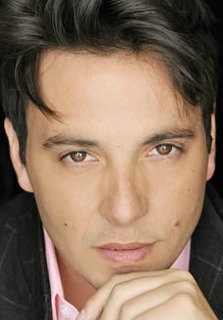 Tenor Santiago Ballerini will sing the role of Tonio. His performance will mark an important achievement in the company’s history, Atlanta Opera says. He becomes the first young artist in its Atlanta Opera Studio to sing a lead role on the mainstage. The Daughter of the Regiment was last seen in Atlanta in 1985. CARMEN | April 28 & May 1, 4, 6, 2018. Georges Bizet’s opéra comique is, perhaps, the most beloved opera of all time. It tracks the downfall of Don José, a naïve soldier seduced by a Gypsy named Carmen and all that follows. Its depictions of proletarian life, immorality, lawlessness and the death of the main character onstage were groundbreaking in 19th-century French opera. Mezzo-soprano Zanda Svede, a rising star from Latvia, will sing the title role. Gianluca Terranova, who sang Rodolfo in Atlanta Opera’s La bohème, sings Don José. Baritone Edward Parks, a Metropolitan Opera regular last seen in Atlanta in Romeo and Juliet, sings Escamillo the bullfighter. Carmen was last seen in Atlanta in 2012, playing to sold-out houses. SWEENEY TODD | June 9, 12, 15 & 17, 2018. 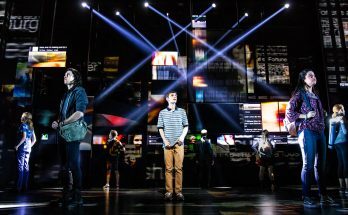 Stephen Sondheim’s dark masterpiece has always trod the line between musical theater and opera. Subtitled The Demon Barber of Fleet Street , it asks you to attend the tale of a put-upon London barber who returns to avenge his false imprisonment and the loss of his wife and daughter. Broadway regular Shuler Hensley, a Tony Award winner for Oklahoma! (2002) and a Marietta native, plays Todd. Mezzo-soprano Meredith Arwady will sing Mrs. Lovett. The success of the Discoveries series, Zvulun says, has given the opera the confidence to schedule extended runs for next season’s two offerings. This year’s Discoveries pieces — Astor Piazzolla’s Maria de Buenos Aires and Mozart’s The Secret Gardner — sold out every performance. The 2017/18 season marks the series third full season of bringing new works and rarely performed pieces to metro audiences — at venues outside the Cobb Centre. THE SEVEN DEADLY SINS | October. The Bertolt Brecht–Kurt Weill opera follows the journey of an immigrant named Anna, who finds herself on a seven-year, seven-city quest across the United States, where she ultimately encounters each of the seven sins. The singer playing Anna has not yet been announced. 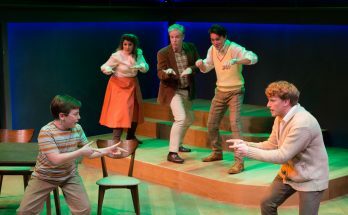 Her director, however, is Brian Clowdus, founder and artistic director of Serenbe Playhouse (Miss Saigon, Carousel, Hair). The venue for The Seven Deadly Sins will be announced in May. OUT OF DARKNESS: TWO REMAIN | April 2018. Composer Jake Heggie (Dead Man Walking, Great Scott, Three Decembers), and librettist Gene Scheer tell stories of survival from those held captive by Nazisduring World War II. The stories told here are based on the real lives of Holocaust survivors. Tom Key — an actor, director, adapter and the artistic director at Theatrical Outfit — will sing the role of Gad. Out of Darkness was commissioned by Music of Remembrance, a Seattle-based classical music ensemble. It has previously been seen only in recital in Seattle and San Francisco. Venue TBA.